Thermal energy balance calculations of a building's construction. Screen languages are in French, German, English and Italian (multilingual version). U-Value following EN ISO 6946, EN ISO 13786, EN ISO 13788 and SIA 180, dynamic characteristics, condensation risks and Life cycle assesment. 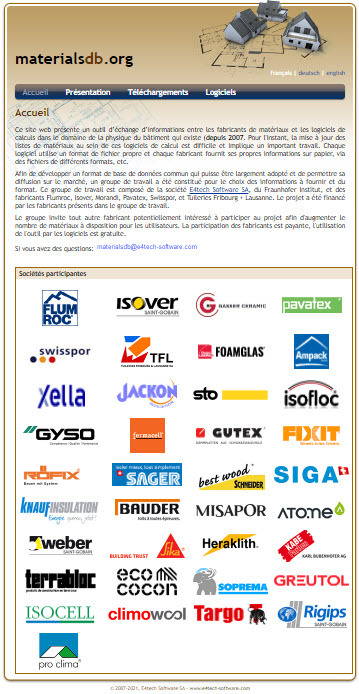 E4tech, together with the building material providers Flumroc, Isover, Morandi, Pavatex, Swisspor, Tuileries de Fribourg et Lausanne and with a contribution of the Fraunhofer Institute, developed a new open source format in XML (Extensible Markup Language). 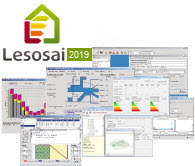 The new tool allows providers to manage independently their own building material database and does not require a central database. 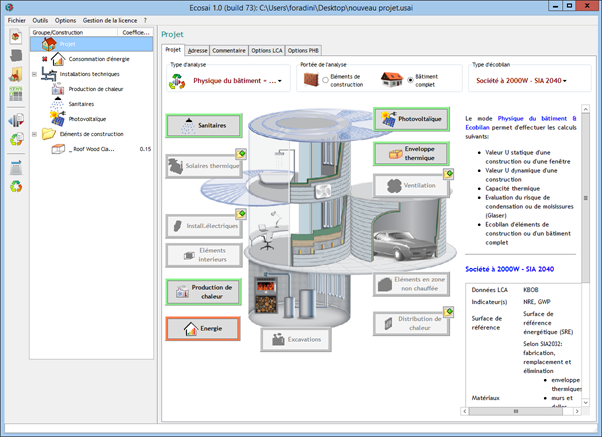 The building physics softwares can access the various decentralised databases via a DLL (Dynamic Link Library). The database is designed both to contain the data collected in a standard format, and to perform analysis of the data to a standard level, e.g. calculation of pre-defined parameters as Building Symptom Index. HoDa contains the building information: a list of buildings, the checklist information and the questionnaire data. Checklist data is entered in five tabbed sections: description of the building, services, mechanical ventilation, use and energy, and information on individual apartments where appropriate. Questionnaire data were coded in advance and entered in standard format for offices and for homes.